A few weeks ago I discovered a vulnerability in Craft CMS that I would like to describe and share. The one that caught my attention was the TemplatesController, which had all actions exposed to unauthenticated users. 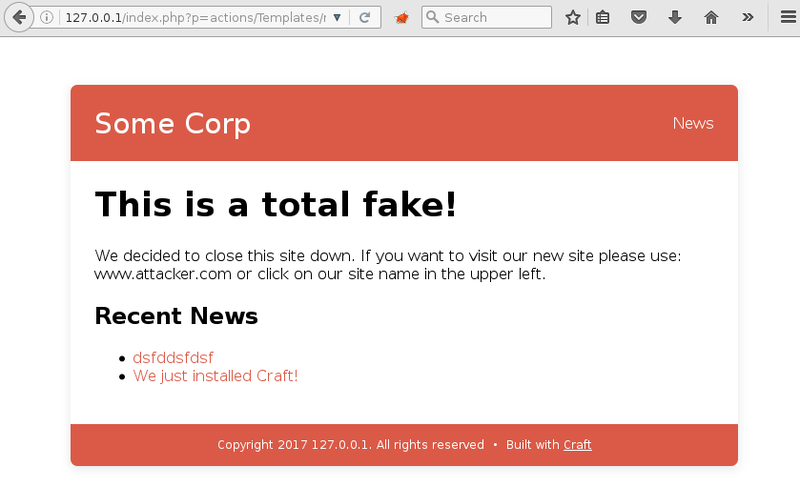 So nice to have but something other than sharing some fake news for a Craft CMS site could not be achieved. All kinds of payloads that I included were filtered by the application. This proof of concept uses the “_components/widgets/CraftSupport/response.html” default template and the errors variable to deliver the malicious payload. This function would only execute if the targeted person is logged into Craft CMS. The work with the Craft CMS team was very nice. I have been awarded with a small bounty. The issue has been fixed with version 2.6.2990 on 15.09.2017.